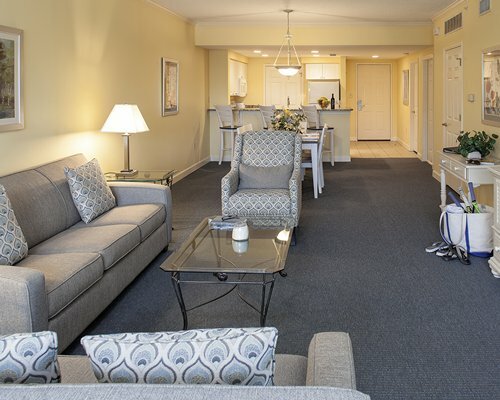 Located two blocks from the beach and Coligny Plaza, Waterside offers the convenience of a full-scale resort, with the comforts of home. 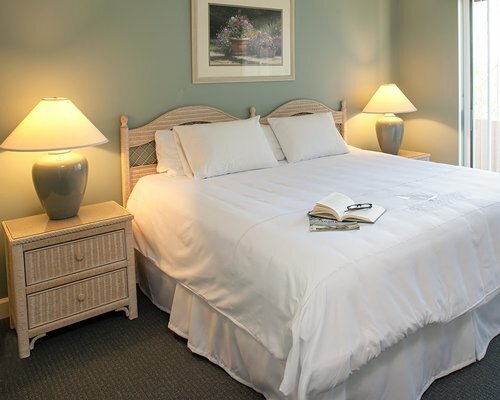 Accommodations are spacious one- , two- and three-bedroom, elevator-accessible villas. 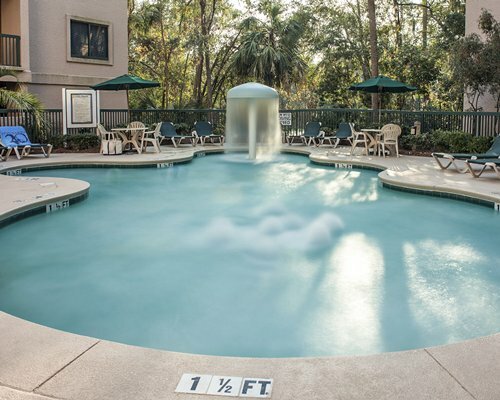 On-site amenities include three pools¬¬: zero-entry, heated, and children's; a hot tub, free Wi-Fi, and bike trails. 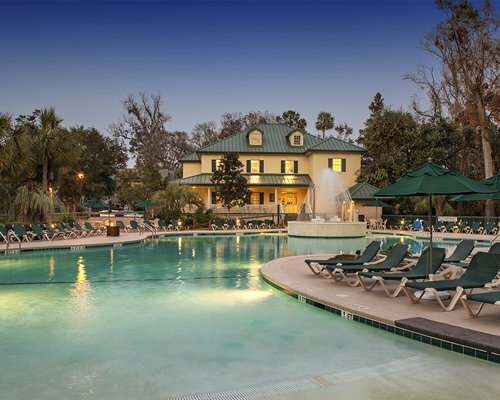 Waterside also features resort Activities to suit a variety of ages and interests. 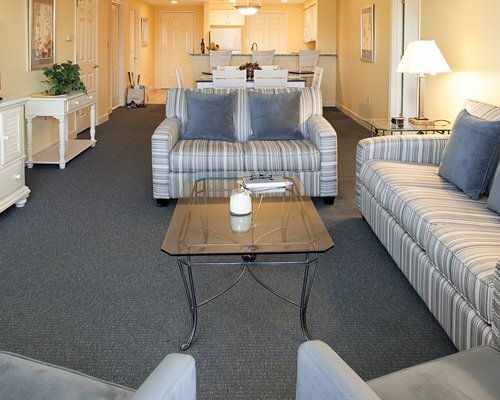 Golf and tennis are nearby, as well as restaurants and shopping, which are within walking distance of the resort. Try Zipline Hilton Head, an adventurer’s island attraction and enjoy water sports. 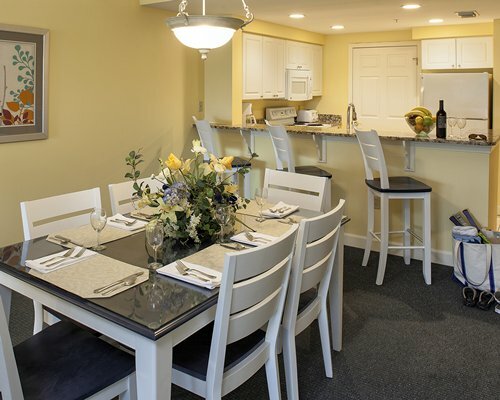 Units range from one, two and three bedrooms at Waterside by Spinnaker, providing ample space for groups of four to eight. The experience is enhanced by open concept living and dining areas, private bed and bathroom areas, well-appointed kitchens, and balconies from which you can enjoy the natural beauty of this idyllic setting. Known for its wealth of things to do, Hilton Head Island draws active lifestyle visitors time and time again. Besides the beauty of miles and miles of magnificent beaches, world-renowned golf and tennis are among the area's most popular pastimes. 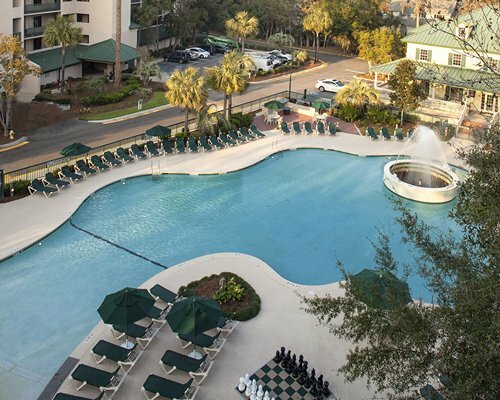 Mix in a good dose of dramatic sunsets, nature tours, zipline, skate parks, shopping, some time in Harbor Town, or day trips to nearby Charleston, Savannah, and more to create the perfect all-around vacation. 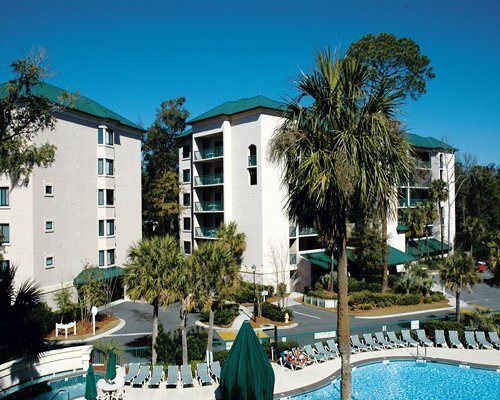 The address, 45 Waterside Dr. Hilton Head, Island 29928 The nearest major airport is 45 miles away in Savannah, Georgia. From the airport, take I-95 North to exit 8 (Hwy 278/East to Hilton Head Island). Once you cross the bridge onto the island, continue on Hwy278 to the Cross Island Pkwy.-Toll Rd ($1.25). Follow the Cross Is. Pkwy., which will turn into Palmetto Bay Rd after the toll. Continue to the Sea Pines traffic circle and take the 2nd exit off the circle (Pope Avenue). Follow Pope Ave. to the 2nd traffic light. Just beyond that 2nd light, take the 1st left into Waterside Resort. Follow Waterside Dr. over the bridge. The resort Activity & Check-in Center is the first building past the pool. 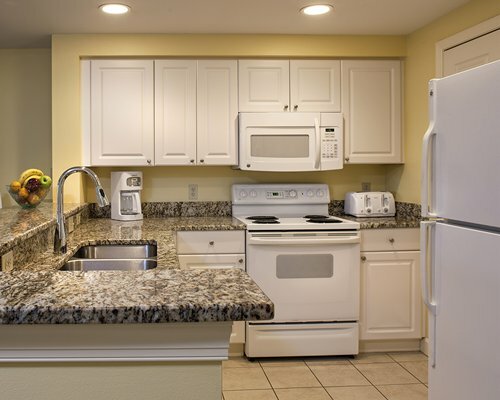 On-site construction or remodeling may disturb guests from January 1, 2019 to February 28, 2019. Pool renovation. Alternate pools will be open. Mandatory Security deposit is 150.00 local currency. Only Credit Cards accepted.